This reserve tank is for those times you wish you had more air in reserve. 10 gallon capacity with 4 - 3/8" ports allow you to hook up multiple air lines. 150 psi Safety Relief and 1/4" drain valve. 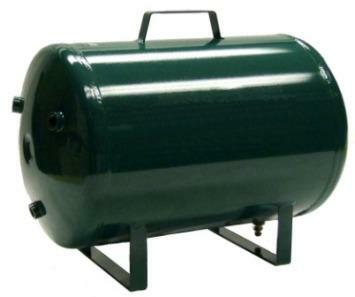 The tank has a carrying handle and two feet.